Christopher retired with his wife to Rose Bay, an Eastern Suburb of Sydney he lived until 1960 when he died on the 18th of April in Sydney Hospital. 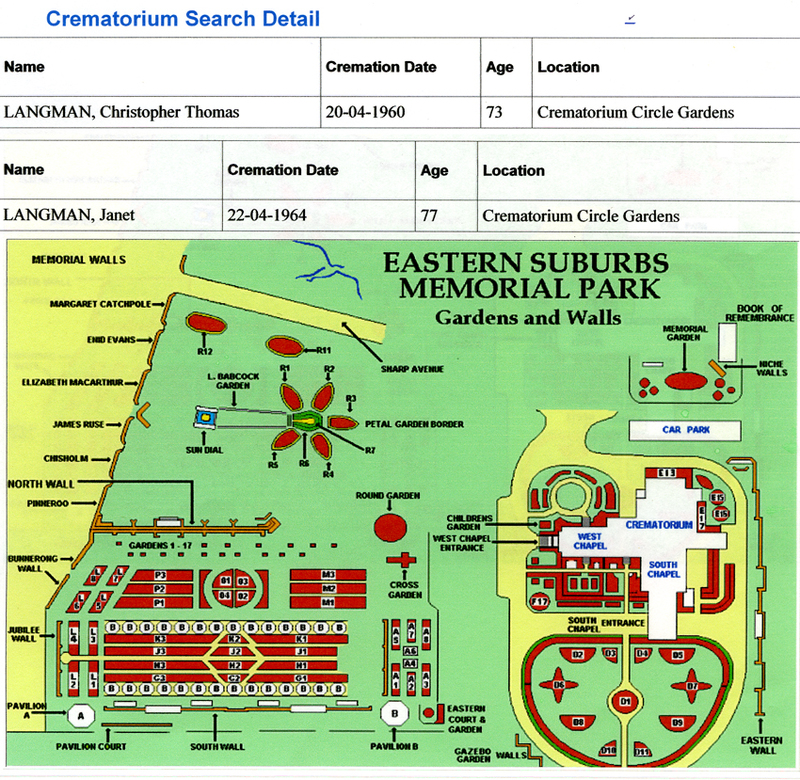 The certificate shown left records his death and also details of his cremation on the 20th of April 1960 at Eastern Suburbs Crematorium. He died of Broncal Pneumonia. He was survived by his wife Janet and two daughters Edna and Betty. Edna Georgina married Edward Baxter Cheetham in 1941 at Woollahra NSW. 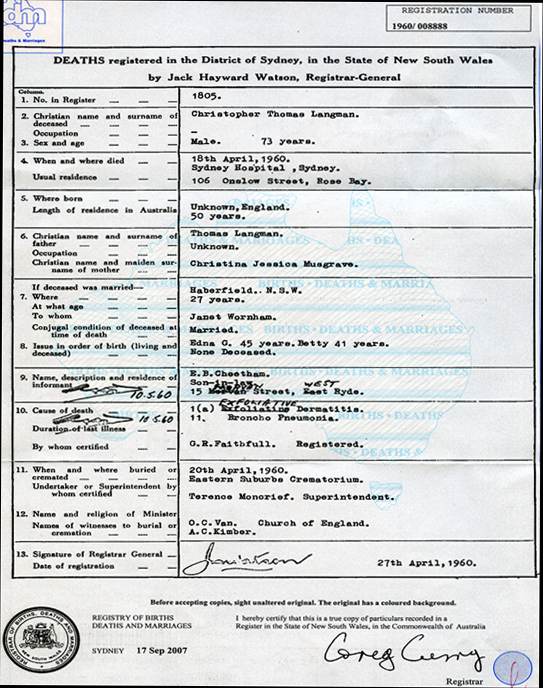 We believe Betty married Jack Alexander Smith in 1939 at Ashfield NSW.